Register to Attend the Annual OCD Conference! We offer different registration rates for adults, children, professionals, and students as well as discounted registration for IOCDF members. Please read the page below in its entirety for important information on registration rates and policies prior to registering yourself and your family. Early Bird Deadline: Friday, June 7th, 2019 at 5pm ET. 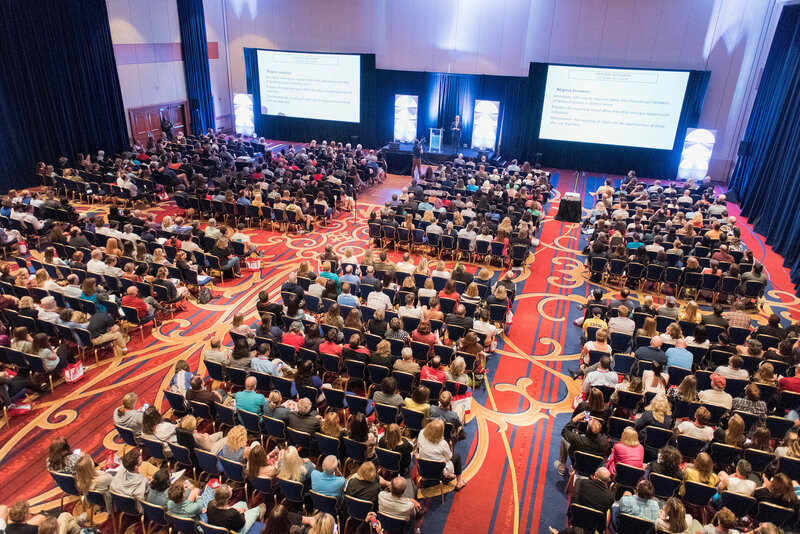 Review the 2019 Conference FAQ for more information on registering for the 26th Annual OCD Conference. • Two-day Registrations are NOT available. You may register for the Full Conference (including Thursday evening activities, all day Friday, all day Saturday, and Sunday morning) OR 1-Day Friday (includes Thursday evening activities) or 1-Day Saturday (includes Sunday morning) or Sunday Morning Only. Please note that Sunday Morning Only is the same price regardless of member status and no Early Bird option is available. • The registration fee for children (age 6–17) is the same regardless of membership status. Children 5 & under can attend the Conference for free. • If you register at the member discounted rate, but do not have a valid membership at the time of the Conference, you will need to renew your membership onsite prior to picking up your Conference badge. If you are unsure of your membership status, please call our office at (617) 973-5801 or email info@iocdf.org. • All professionals who wish to receive CE/CME credits must register at the Professional rate (either Member or Non-Member) and submit license information at the time of registration. Please note that a registration form and payment is required for each family member who plans to attend the Conference, including spouses and all children ages 6 to 17. Children 5 and under may attend for free. All child attendees must be accompanied by a parent or guardian over the age of 18. The registrations are completed in the same transaction, either online, by mail, or by phone. Click here for more information on the membership discount or call (617) 973-5801. • Families of four or more (all living at the same household) are eligible for additional family discounts. Click here to learn more. *Only IOCDF Professional Members are eligible to register at the Professional Member rate, no exceptions. Family members of IOCDF Professional Members who are also professionals wishing to receive CE/CMEs at the Conference must either register at the Professional Non-Member rate OR apply for their own IOCDF Professional Membership and register at the Professional Member rate. All cancellations and requests for refunds must be made in writing and postmarked by Friday June 21st, 2019 at 5pm ET. A $50 cancellation fee will be charged per registrant. No refunds will be granted to requests postmarked after Friday, June 21st, 2019. Cancellations made by telephone or email will NOT be accepted. Register today for the Annual OCD Conference.